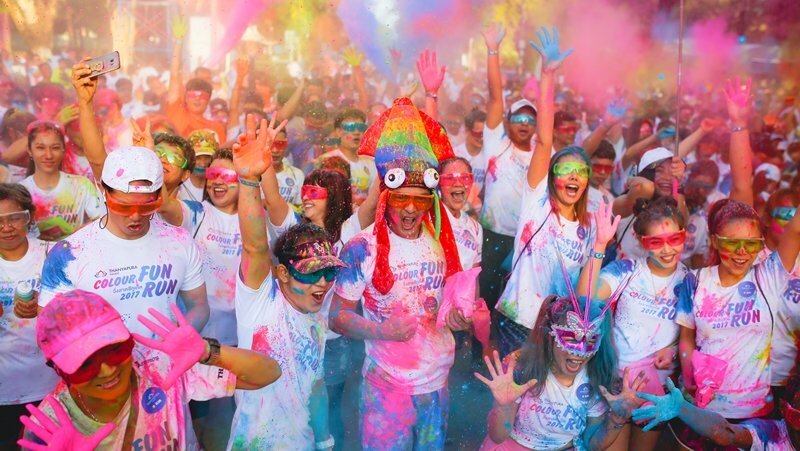 FUN RUN: Gather up your friends or gear up solo for the vibrant Thanyapura Colour Fun Run, which is set to return from 4pm-8pm on November 10 at the Thanyapura Health & Sports Resort. The 1.5km and 4km Colour Fun Run takes place annually and combines sport with family fun, encouraging people of all ages and abilities to join in on this fantastic and colourful day out. Tickets for this event, which also included 500 grams of coloured powder, sunglasses T-shirt and refreshment, sell very fast, so book now to avoid disappointment. The date for race kit collection has been set for Friday November 9 from 10am-6pm at Thanyapura. •For participants who want to change your information, you can change before October 25. After this day, the system is closed for any update.